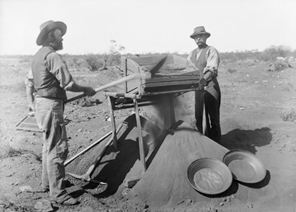 The Australian Gold Rush began in following gold discoveries at Coolgardie in 1892 and Kalgoorlie in 1893 located 370 miles (595 km) east-northeast of Perth. 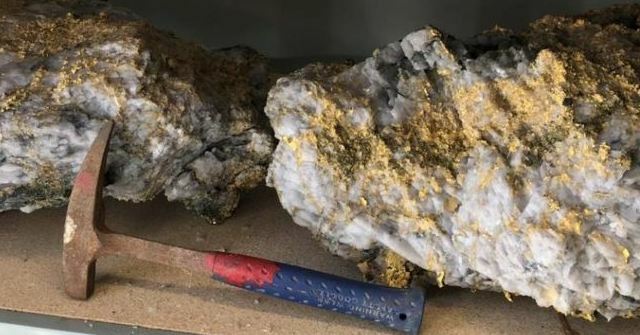 Once again, miners discovered two huge boulders with an extremely high gold content. Kalgoorlie is one of Australia’s most famous gold rush events because it was largely credited drawing people from around the world to search for the precious metals. Western Australia’s population grew from a meager 49,782 in 1891 to a booming 184,124 by 1901. In just those 10 years, the region became known as the Goldfields-Esperance region, often called the Golden Mile. It has typically been called in mining the most naturally rich square mile in all the earth. Now we have boulders worth millions of dollars. The biggest one weighing 95kg and contains over 2,400 ounces of gold. The company has now begun to dig for gold they believe is worth at least $11 million. This is a rare find given this area was the center of attraction for gold miners. The gold content of these rocks is very high. Some hope that they will lead to an even bigger discovery in the months ahead.